Leonard (Better Call Saul’s Patrick Fabian) is a 50-something stay-at-home dad in Los Angeles taking care of two young daughters while his wife Dawn works during the day. He’s been interviewing for jobs, but opportunities are slim for a “mature-aged” former record store owner. With their savings nearly gone, Leonard becomes desperate; in a process that takes less than 5 minutes, he signs up to drive for DRIVERX, a popular rideshare company. In an instant, Leonard is now part of the Gig Economy and driving at night. It’s a bit of a rough ride in the beginning, though, dealing with the new tech and young Millennials he drives around, with their strange language and unfamiliar customs. More urgently, with his marriage fraying at home, he negotiates some twisty turns in the car as attractive, inebriated young women test his fidelity. 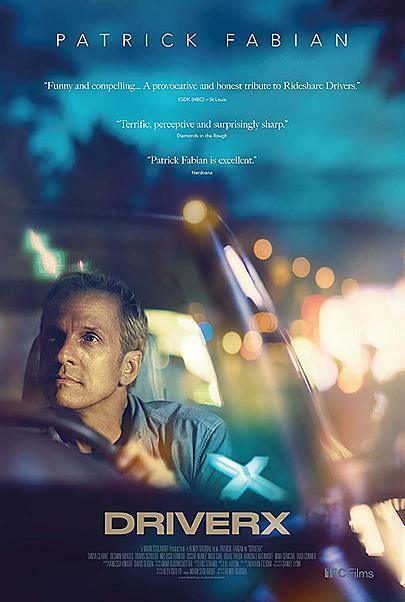 'DRIVERX' follows Leonard on a voyage through LA’s late-night, Tinder-fueled party scene, where you never know who’s going to get into your car next, all the while presenting the challenges facing many middle-aged Americans today in an economy disrupted by new technologies.